Soon it’s going to be bigger than what my one hand can hold. 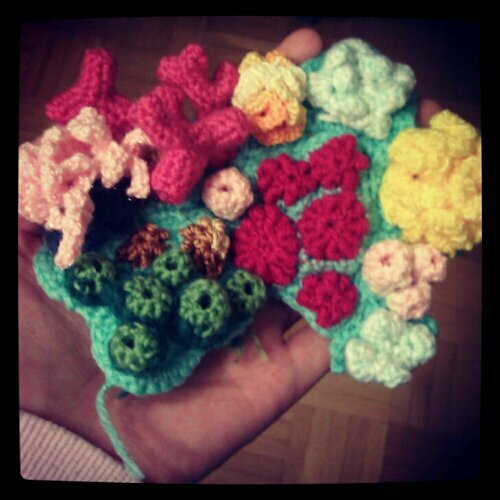 Was crocheting another bubble coral last night while listening to the wind beating on the windows. I hope everyone has emerged out of the dark clouds and heavy rain of the hurricane safely. Your coral is coming along beautifully!! 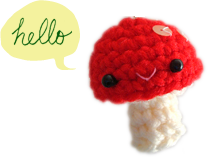 Have you ever seen Hyberbolic crochet? It is based on a scientific formula and reproduced in crochet by two American sisters. There is a wonderful exhibition if it is ever near you it is really worth seeing. thank you, everyone! yes i’ve seen hyperbolic crochet. or at least photos of it :D it’s fascinating and totally gorgeous!